Mary Ann Howling nee Kent was born in 1811, to John and Hannah Kent. She was the eldest of seven children. Her siblings were Edward, John, Hannah, Emma, (who married James Husk the shipbuilder), Joseph and Mahala. She lived in Wivenhoe all her life and in 1832 she married John Howling a mariner, at St Mary the Virgin church. They had eight children before John died in 1855 at the age of 46. As with many families at this time, the death of a child was almost commonplace. And that was a tragedy experienced by Mary Ann and her family. Her third child, Emma, died at the age of two years. Six years later, after having two boys, she had another little girl and they named her Emma. Mary Ann’s other children in order of age were, Mary Ann, her first born in 1833, Hannah Ann b. 1835. Next came Emma b. 1838, who died two years later on the 3rd Dec 1840. In that same year, also in December Mary Ann gave birth to her fourth child, a boy who was named John Wallace. What a complete mix of emotions must she have felt to have one child die and another born within a matter of a couple of weeks. I just can’t imagine how that could have felt. Edward the next child was born in 1842, Emma b. 1846, Ellen Elizabeth b. 1848 and finally Jabez b. 1851. The family first lived in The Folly, but by 1851 they had moved to East St. They continued to live there until at least 1861, and probably for some years after this. At this time Mary Ann’s three eldest children had left home, as had her younger daughter Emma. Mary Ann’s husband had died in 1855, and the 1861 census shows that living with her, apart from three of her children, were her nephew aged 22, a sailmaker, and also a lodger who worked as a ship’s carpenter. As two of her children were still dependant on her, rent from a lodger and nephew were most likely essential contributions to the family income. Mary Ann’s son Edward was working as an apprentice ship’s carpenter. She herself is described in the census as a needlewoman, an occupation that I imagine didn’t bring in a great deal of money. Mary Ann’s eldest daughter never married. She worked as a servant for the Rector in Weeley and at some point went to live with her brother John Wallace in Roath, Glamorgan. She died in June 1891 at the age of 56. John Wallace was married to Sarah Ann nee Uzzell. Prior to this marriage he had lived and married in Brightlingsea to Ellen Ann Minter in 1869. Ellen Ann was his sister-in-law. John’s sister Hannah was married to Frederick Minter. John and Ellen Ann had one daughter, also named Ellen, in 1871 before Ellen Ann died in 1877, leaving John a widower. John Wallace met and married Sarah Ann in Cheltenham in 1883 when Ellen was twelve years old. It would appear according to the census, Ellen had been living with her uncle William, brother to her mother, and his family. John, Sarah Ann and Ellen then moved to Wales. John and Sarah had three more children. Of Mary Ann’s other five children, Edward, married in 1864 to Emily Chapman. The marriage took place in Greenwich. Although in 1871 they were living in Wivenhoe with two of their children, they like Mary Ann’s other children moved from the area to live in Hertfordshire where they had six more children. In 1871 Emma was living in Wales. There is no further trace of her in the census under the name of Howling. It is possible that she could have married, but does not appear to have lived in the Wivenhoe area again. Mary Ann’s youngest child Jabez had become a mariner, moved to Hampshire and married Emily Spencer in 1875. Hannah Howling married Frederick Minter in 1858. 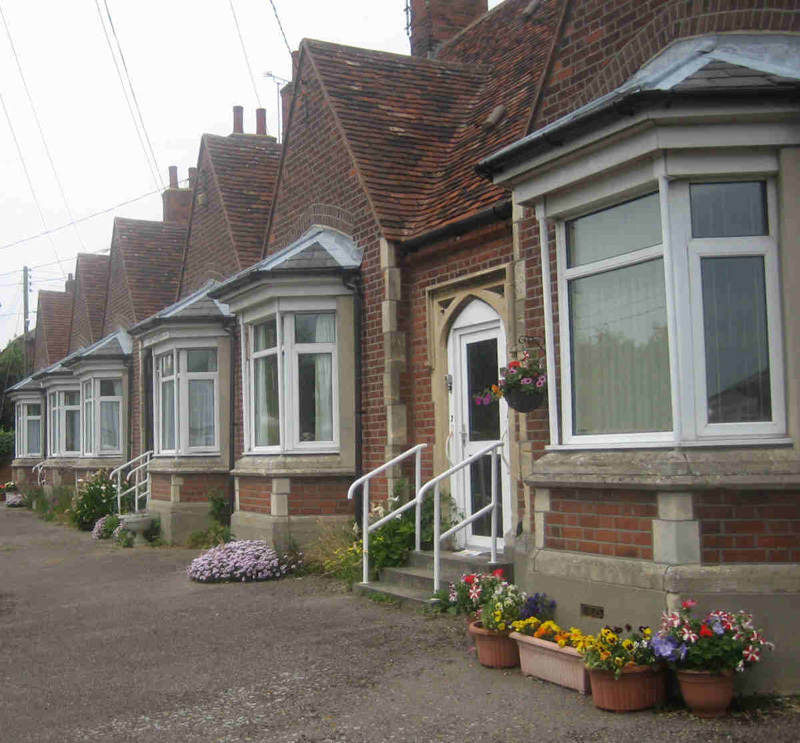 After the marriage she moved to Brightlingsea where they lived and had six children. Sometime between 1861 and 1871 Mary Ann along with her daughter Elizabeth moved to Brightlingsea to live with Hannah and her family. At the time of her death in 1882, aged 71, Mary Ann was living in one of the Mary Ann Sanford almshouses in Rebow Road, and Hannah appears to be the only one of her children living relatively close by. Of Elizabeth, there is no obvious trace in the census or of her having married. This page was added on 15/01/2017.